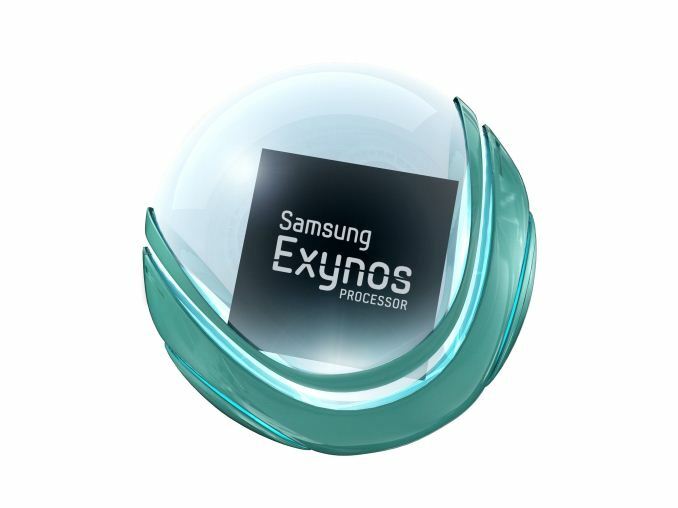 While we mentioned this in our Galaxy Alpha launch article, Samsung is finally announcing the launch of their new Exynos 5430 SoC. While details are somewhat sparse, this new SoC is a big.LITTLE design with four Cortex A15s running at 1.8 GHz and four Cortex A7s running at 1.3 GHz for the CPU side, and a Mali T628MP6 for the GPU side. Although the power/performance characteristics of such a configuration are relatively well-understood by now, the real news is that this is the first SoC that we’ve seen running on Samsung’s 20nm HKMG process. 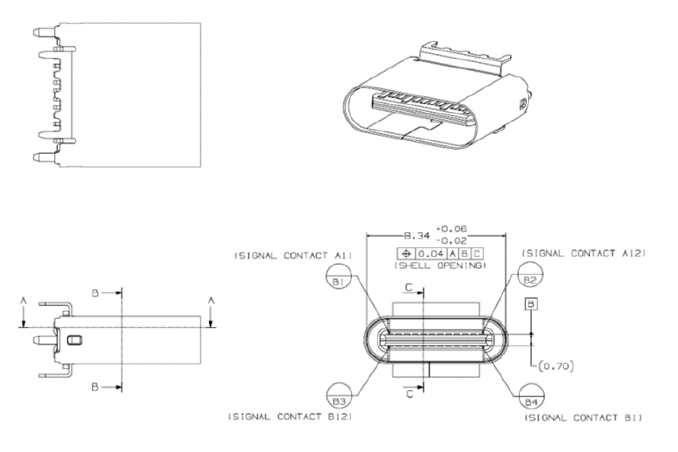 Today it was announced by the USB-IF (USB Implementers Forum) that the latest USB connector which we first caught a glimpse of in April has been finalized, and with this specification many of the issues with USB as a connector should be corrected. USB, or Universal Serial Bus, has been with us for a long time now, with the standard first being adopted in 1996. At the time, it seemed very fast at up to 12 Mbps, and the connector form factor was not an issue on the large desktop PCs of the day, but over the years, the specifications for USB have been updated several times, and the connectors have also been updated to fit new form factor devices. In the early ‘90s, when USB was first being developed, the designers had no idea just how universal it would become. The first connectors, USB-A and USB-B, were not only massive in size, but the connection itself was only ever intended to provide power at a low draw of 100 mA. As USB evolved, those limitations were some of the first to go. First, the mini connectors were introduced, which, at approximately 3 mm x 7 mm, were significantly smaller than the original connector, but other than the smaller size they didn’t correct every issue with the initial connectors. For instance, they still had a connector which had to be oriented a certain way in order to be plugged in. As some people know, it can take several tries to get a USB cable to connect, and has resulted in more than a few jokes being made about it. The smaller size did allow USB to be used on a much different class of device than the original connector, with widespread adoption of the mini connectors on everything from digital cameras to Harmony remotes to PDAs of the day. In January 2007, the Micro-USB connector was announced by the USB-IF, and with this change, USB now had the opportunity to become ubiquitous on smartphones and other such devices. Not only was the connector smaller and thinner, but the maximum charging rate was increased to up to 1.8 A for pins 1 and 5. The connection is also rated for at least 10,000 connect-disconnect cycles, which is much higher than the original USB specification of 1,500 cycles, and 5,000 for the Mini specification. However once again, the Micro-USB connector did not solve every issue with USB as a connector. 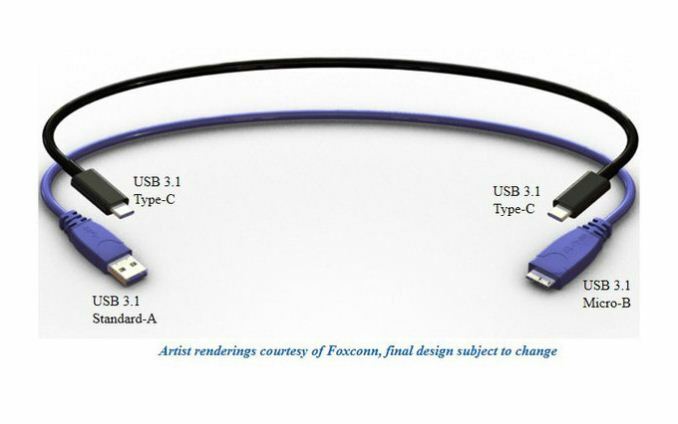 Again, the cable was not reversible, so the cable must be oriented in the proper direction prior to insertion, and with USB 3.0 being standardized in 2008, the Micro connector could not support USB 3.0 speeds, and therefore a USB 3.0 Micro-B connector was created. While just as thin as the standard connector, it adds an additional five pins beside the standard pins making it a very wide connection. With this new design, existing devices won’t be able to mate using the new cables, so for that reason the USB-IF has defined passive cables which will allow older devices to connect to the new connector, or newer devices to connect to the older connectors for backwards compatibility. With the ubiquity of USB, this is clearly important. There will be a lot of use cases for the new connector, which should only help cement USB as an ongoing standard. 10 Gbps transfer rates should help ensure that the transfer is not bottlenecked by USB, and with the high current draw being specified by connectors, USB may now replace the charging ports on many laptops as well as some tablets that use it now. The feature that will be most helpful to all users though is the reversible plug, which will finally do away with the somewhat annoying connection that has to be done today. As this is a standard that is just now finalized, it will be some time before we see it in production devcies, but with the universal nature of USB, you can expect it to be very prevalent in upcoming technology in the near future. As much as I would like to be at SIGGRAPH, one of the reasons to visit would be to see Lenovo’s latest launch of their Haswell-E Desktop Workstation series. One of the key elements to the workstation market in recent quarters is to develop a professional-grade system that can encompass all the critical industries that require horsepower under the desk: engineering, media, energy, medical, finance and others. These systems have to be verified with industry standards to even be considered by these markets, but also the shift to Haswell-E and DDR4 will be an all-important factor for those that rely on speed and performance. One of the issues that these system manufacturers have is to define themselves in the market – Lenovo is already a big player in many other PC-related industries, so listening to customers is all important when trying to develop market share. 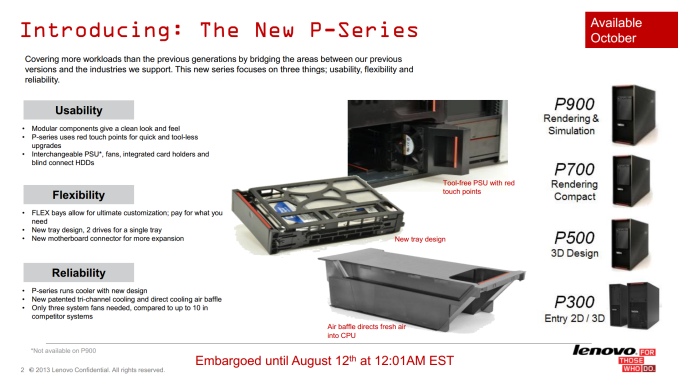 The new ThinkStation P series will be based around the LGA2011-3 socket, using Xeon processors and high capacity DDR4 memory. Given the nature of the platform, we can assume that the DDR4 will be ECC by default. For GPU Compute Quadro is being used, with the top line P900 model supporting dual Xeons alongside up to three Quadro K6000 graphics cards and up to 14 storage devices. All the P series will be certified to work on all key ISV applications, and via Intel they are quoted as supporting Thunderbolt 2, which should make for interesting reading regarding the PCIe lane distribution or PLX chip distribution depending if it is onboard or via an optional add-in-card. In terms of that all important product differentiation, the P series will use ‘tri-channel cooling’ and air baffles to direct the cool air immediately to the component in question and then out of the chassis without touching other components. This essentially becomes a more integrated solution than the compartmentalized chassis we see in the consumer market, except when the company makes the whole system, the company can control the experience to a much tighter level. The P series also runs a trio of ‘FLEX’ themed additions. The FLEX Bay is designed to support an optical drive or the FLEX module which can hold an ultraslim ODD, media reader or firewire hub. 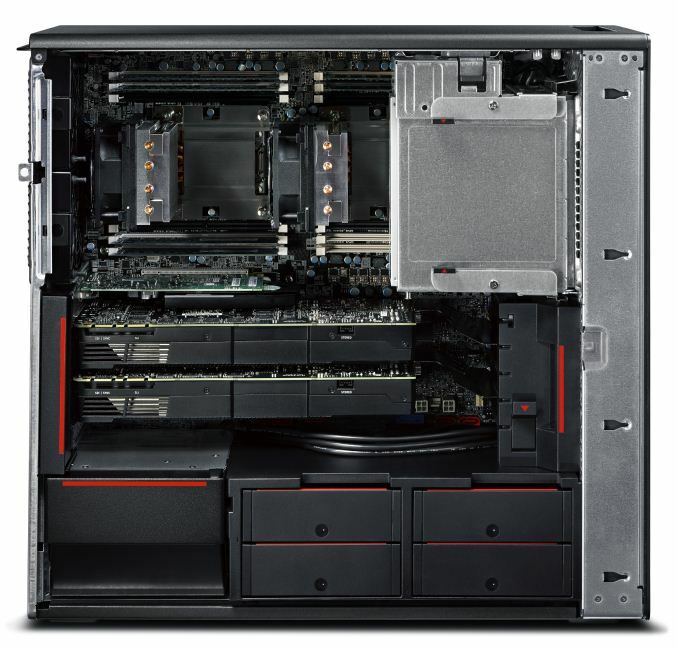 The FLEX Tray on the P900 allows each of the seven HDD trays to support either one 3.5” drive or two 2.5” drives, hence the fourteen drive support mentioned earlier. The FLEX Connector is a mezzanine card allowing users to add in storage related cards without sacrificing rear PCIe slots, meaning that this connector brings this extra card away from the other devices, presumably at right angles. Lenovo is also wanting to promote their tool-less power supply removal without having to adjust the cables on the P700 and P500, which suggests that the PSU connects into a daughter PCB with all the connectors pre-connected, allowing the PSU to be replaced easily. Lenovo is also adorning their components with QR codes so if a user has an issue the code can be scanned such that the user will be directed to the specific webpage dealing with the component. The chassis will have integrated handles for easier movement or rack mounting. 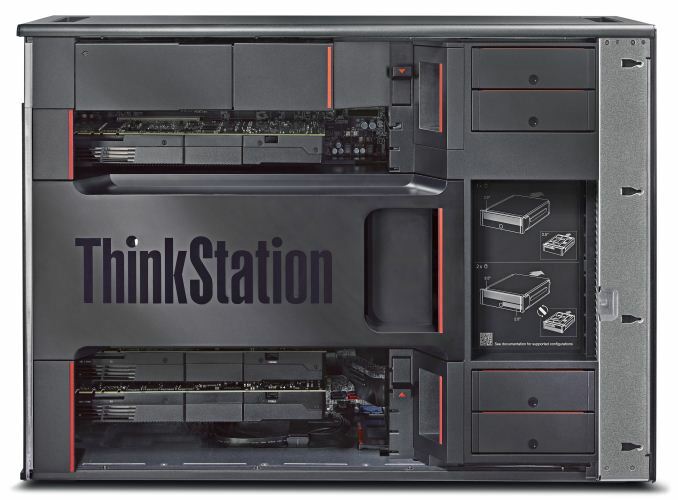 Lenovo is also promoting its diagnostic port, allowing the user to plug in an Android smartphone or tablet via USB for system analysis using the ThinkStation app. 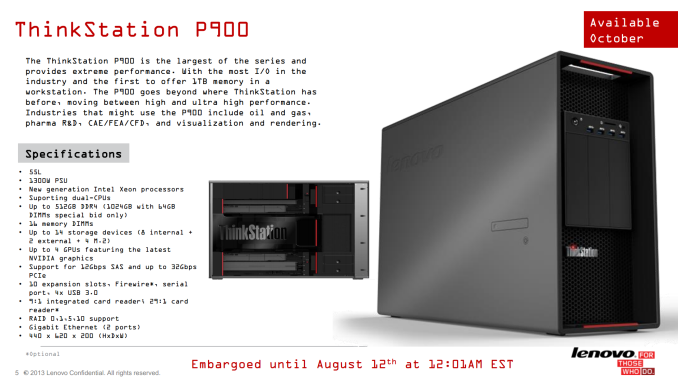 Until Haswell-E and the motherboard chipsets are officially announced, Lenovo cannot unfortunately say more about the specifications regarding the series beyond memory capacities, DRAM support and power supply numbers, however they do seem confident in their ability to provide support and an experience to their ThinkStation users. We have been offered a review sample later in the year when we can test some of these features. 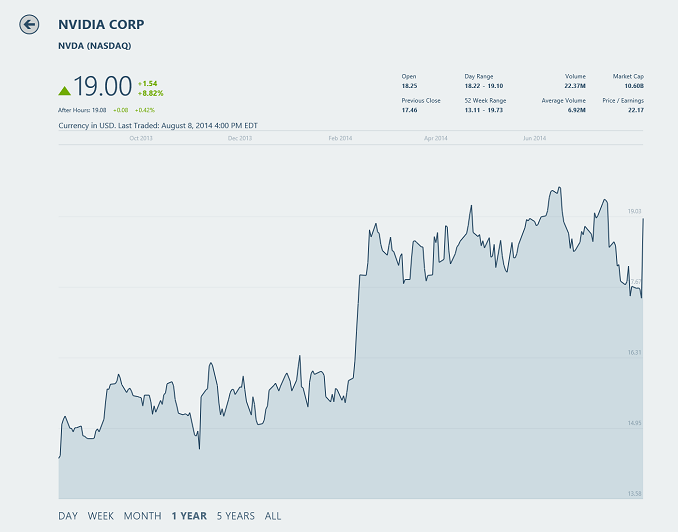 On Thursday August 7th, NVIDIA released their results for the second quarter of their fiscal year 2015. Year-over-year, they had an excellent quarter based on strong growth in the PC GPU market, Datacenter and Cloud (GRID), and mobile with the Tegra line. GAAP Revenue for the quarter came in at $1.103 billion which is flat from Q1 2015, but up 13% from $977 million at the same time last year. Gross margin for Q2 was up both sequentially and year-over-year at 56.1%. Net income for the quarter came in at $128 million, down 6% from Q1 and up 33% from Q2 2014. These numbers resulted in diluted earnings per share of $0.22, down 8% from Q1 and up 38% from Q2 last year but beating analysts expectations. Internet marketing is a huge marketing opportunity for anyone to learn and master the principles involved. If an individual has a product that people want to buy, a well-placed advertising campaign on the Internet will pay dividends. So, lets say that your product is fishing lures. Go to the keyword tool and type in fishing lures. You will see how many people are looking for that term in a month. Probably quite a few. 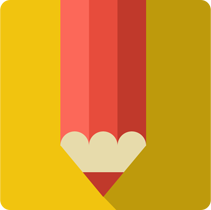 You will probably need to narrow your search term down to the point where you have a good number of lookers, and not too many websites that are competition. You might try some varieties of fishing lures such as deepwater lures, or night fishing lures for catching bass.